Carolina Panthers quarterback Cam Newton and Buffalo Bills wide receiver Kelvin Benjamin shared some heated words prior to Thursday's preseason opener at New Era Field. Days after Benjamin trashed Newton in a Q&A with The Athletic's Tim Graham, the two had an extended discussion that started with Benjamin leaving Newton hanging on a handshake. 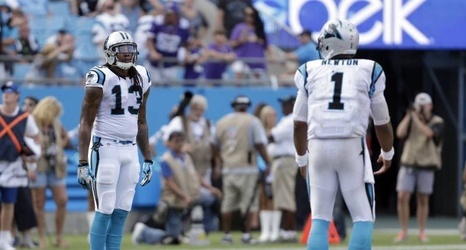 Cam Newton shares words with Bill's Kelvin Benjamin video by @jsiner #keeppounding https://t.